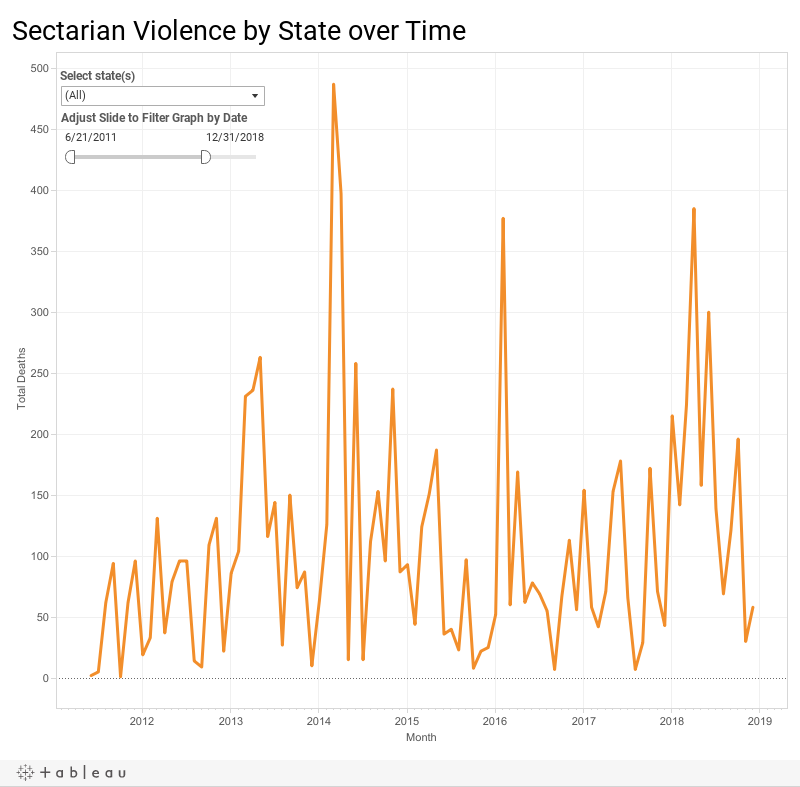 Has sectarian violence in the Middle Belt increased significantly in 2018? If so, has it eclipsed the Boko Haram conflict? On December 20, 2018, we published year-to-date data. Below we publish data for the entire year of 2018. The NST identifies sectarian conflict as acts of violence that occur between distinct identity-based groups (or are framed as such in the Nigerian press). 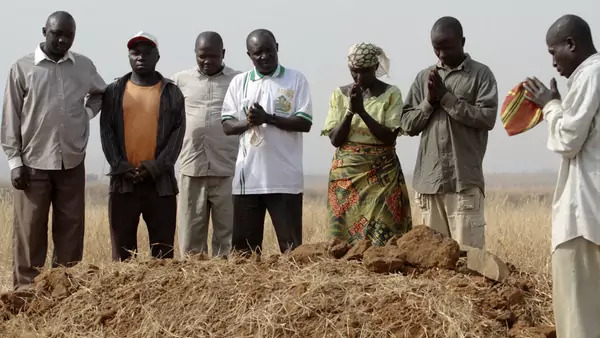 Examples typically include conflict that is described as occurring between “communities,” religious groups, or between named groups, such as “Fulani herders” and “Berom farmers.” (We exclude Boko Haram from our sectarian violence category.) Given our interest in patterns over time, this sectarian category can be useful. However, it does obscure the complex economic, social, historical, and political (often highly local) factors that fuel this type of conflict. The first graphic, “Sectarian Violence by State/Year,” shows number of deaths by state for each year since 2011. The second graph, “Sectarian Deaths by Year” shows year over year totals. The escalation in violence through 2018 comes because of a relative "lull" in 2017. The worst overall year since 2011 is 2014, which parallels 2018. 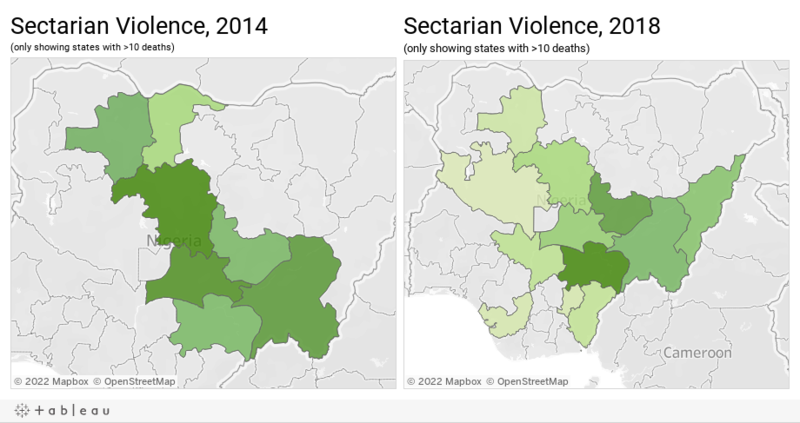 As illustrated in the two maps below, violence in 2018 has been concentrated in Benue, Plateau, Taraba, Nasarawa, Adamawa, and Kaduna. In 2014, it was concentrated in Kaduna, Nasarawa, Taraba, Zamfara, Plateau, Benue, and Katsina. 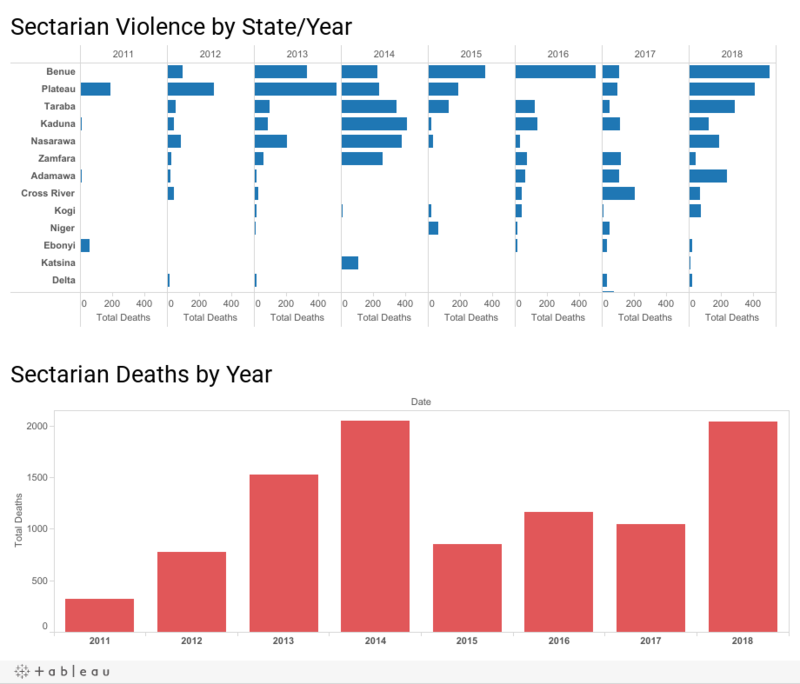 The fourth graphic, “Sectarian Violence by State,” shows sectarian-related deaths by month. This graph includes all states in Nigeria. Use the drop-down menu to select specific states, and adjust the time frame by moving the slider. 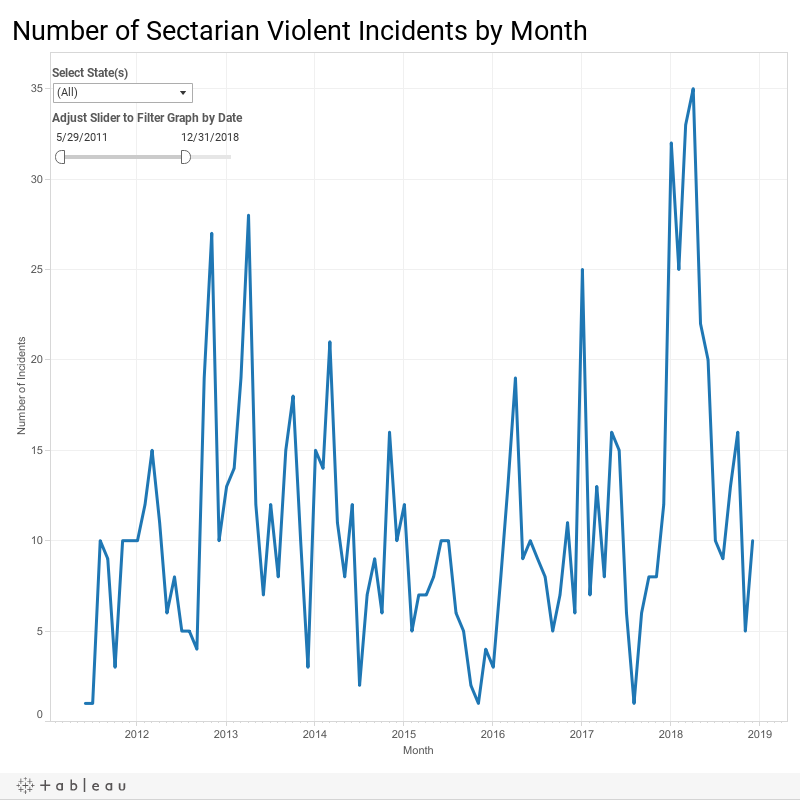 The fifth graphic, “Number of Sectarian Violent Incidents by Month,” aggregates the number of incidents (as opposed to number of deaths). There has been a notable escalation in the number of monthly incidents, starting in January 2018. This graph includes all states in Nigeria. Use the drop-down menu to select specific states, and adjust the time frame by moving the slider. 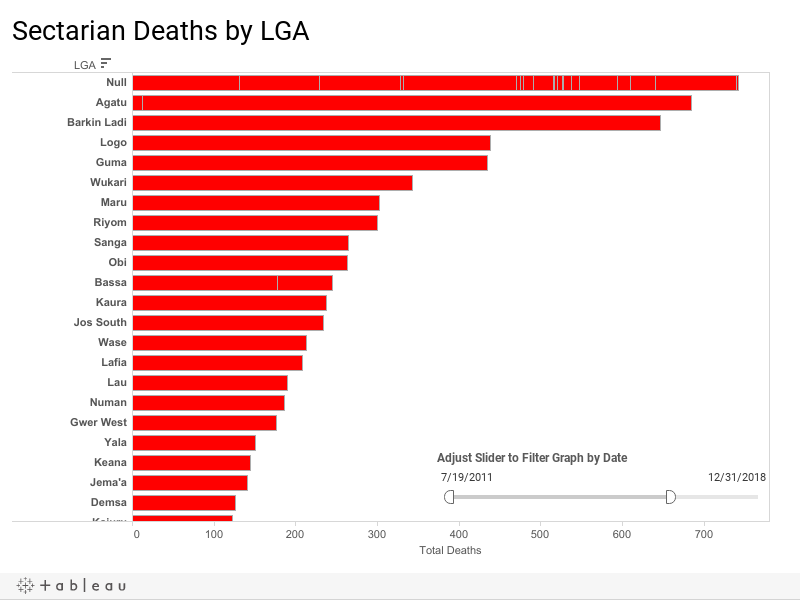 The last graph is “Sectarian Deaths by LGA,” and shows number of deaths by local government area. Agatu in Benue, and Barkin Ladi in Plateau are clearly the most affected by sectarian violence. Move the slider to adjust the time frame. **This number is a rough estimate. It includes deaths in which Boko Haram is the only perpetrator, clashes between the state and Boko Haram in which there are deaths on both sides, and in which the state is the only perpetrator. This blog post has been updated with data for the entire calendar year 2018.